It's been a while since I shared a photo outright on my blog for the sake of just sharing a photo. Here's one I processed last night from a 2012 trip to the Kalahari. 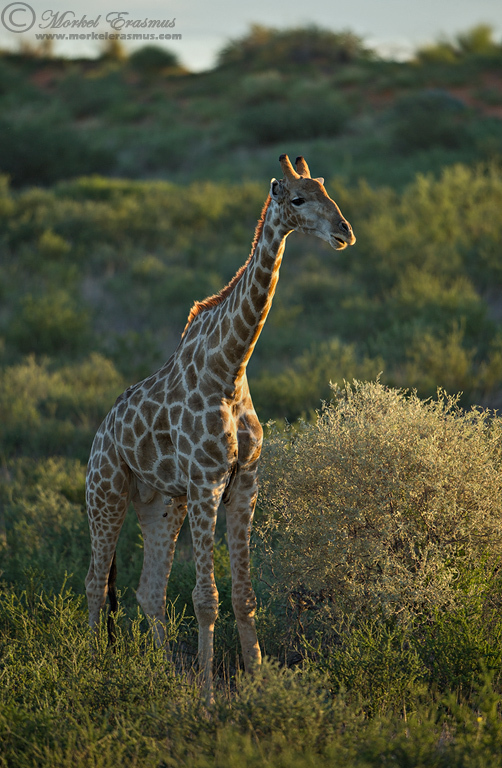 The first rays of sunlight were just enveloping this lone giraffe and I loved the mood. What do you think? ?